Thukpa is noodle soup prepared with Vegetables or chicken . It is a healthy and nutritious soup.There are various version of making Thukpa soup but I tried Sikkim’s speciality Thukpa with Momos. 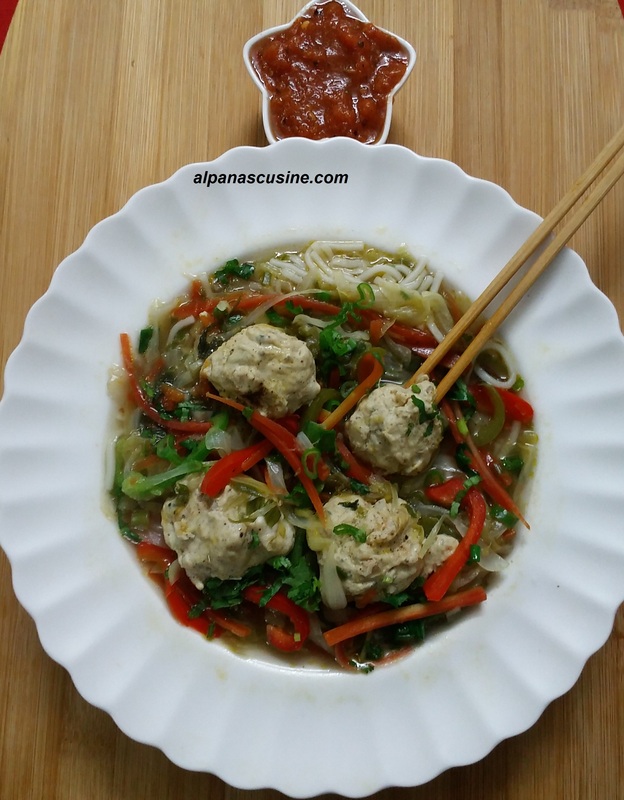 Many times me and my family tried this Thukpa with Momos .This is a wholesome soup and when we combined Thukpa with Momos its tastes turned out to be awesome.Try this soup which is very delicious and perfect for cold day. 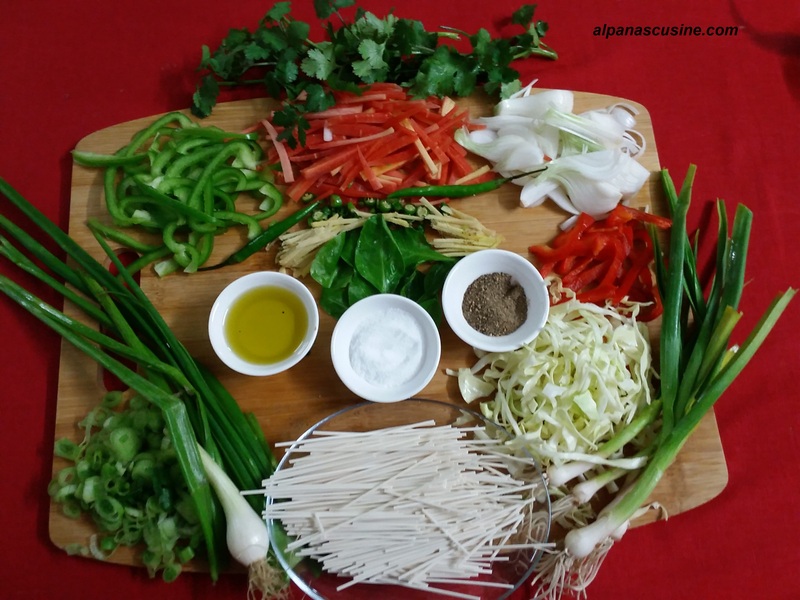 Boil water in a pan ,add noodles and cook for 2 minutes.Drain and keep aside. Heat oil in a pan , add green chillies,ginger and onion ,stir for 1 minute.Then add carrot , capsicum and saute for 2 minutes. 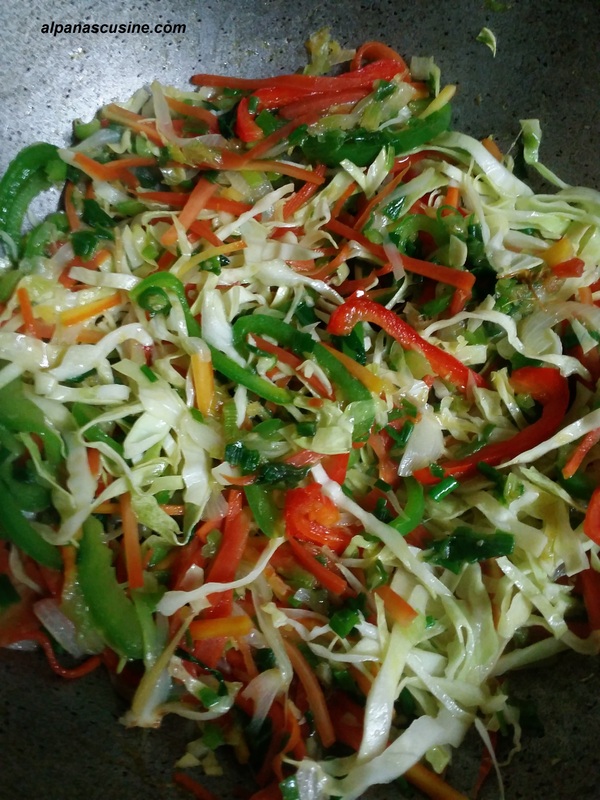 Now add cabbage , green part of spring onion ,pepper powder,salt and chicken/vegetable stock or water and simmer for 5 minutes,and turn off the flame. INGREDIENTS AND MAKING DOUGH– Multi purpose flour 250 grams,1/2 teaspoon salt,warm water.Mix flour with salt and knead a dough with warm water.Cover the dough with damp cloth and leave for 30 minutes. 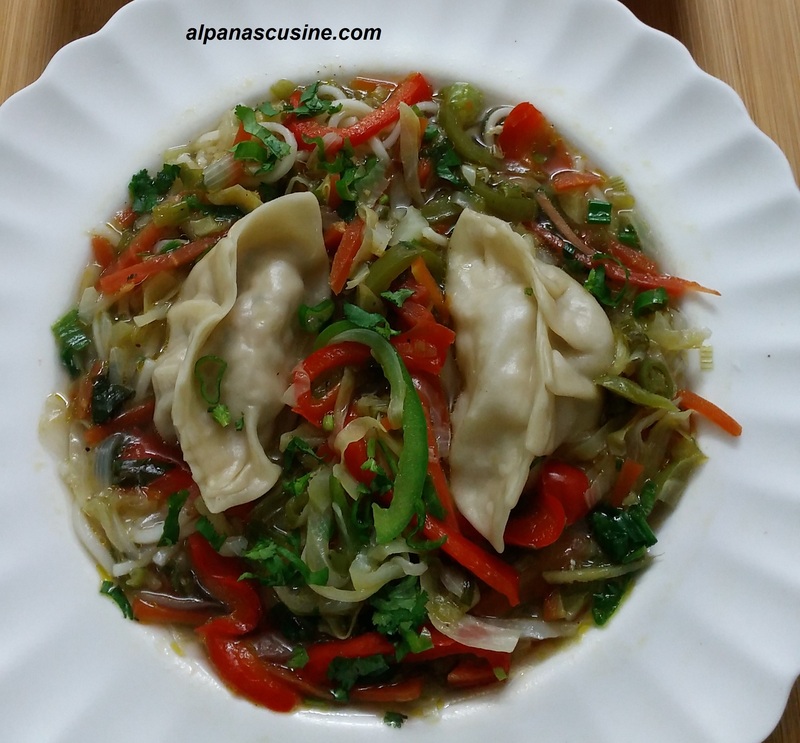 METHOD FOR VEGETABLE MOMOS ; Heat oil in the pan and saute all the vegetales for 5 minutes and turn off the flame.Now add salt , pepper powder and cornflour in the sauted veggies and veg momos filling is ready. 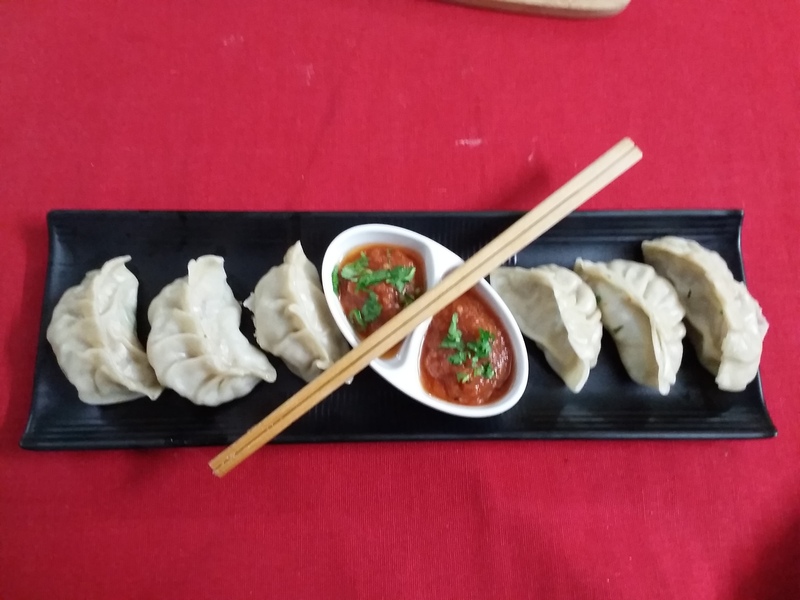 STUFFING AND STEAMING OF MOMOS-Make equal small portion of dough.Roll out dough into 4/5 inch diameter circles.In each piece place 1 tablespoon mi nced chicken filling ,wet the edges with water ,twist in desired shape and seal it.Then steam the Momos for 12 to 15 minutes in a steamer. 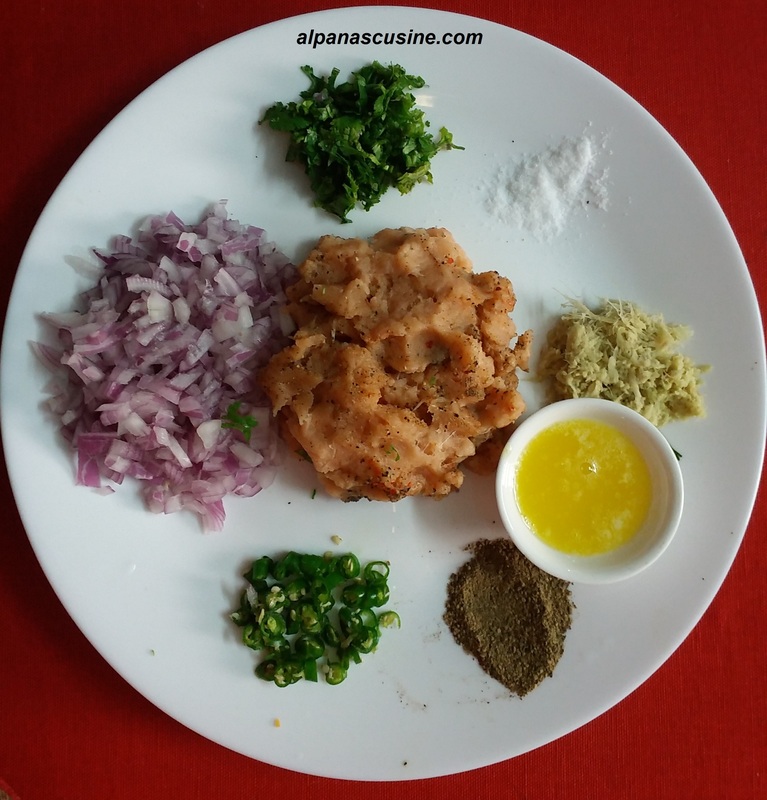 NOTE :You can add minced chicken balls in place of momos.For that mix one egg in the minced chicken and mix well.Make small balls of chicken and put into the pan of boiling soup and cover the lid for 10 minutes. This is even better from Health point of view because in this we have not used refined flour. But when we are taking out the chicken Ball from Soup then we have to take special care.